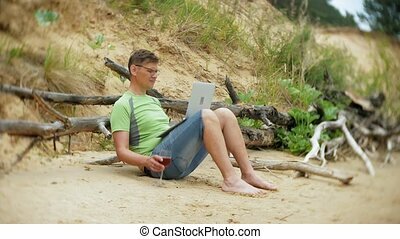 Busy beautiful young woman working on a laptop computer with business papers picking up a phone to work a call sitting on the beach by the sea on a sunny day and drinking wine from a glass 4k. 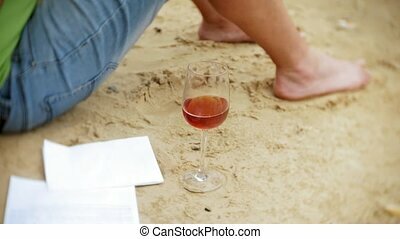 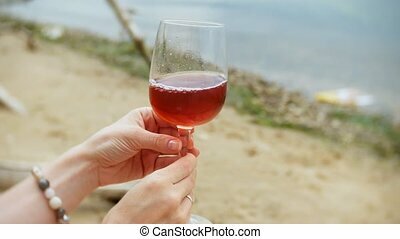 young beautiful woman drinking wine from a glass and walking along the sandy beach of the sea 4k. 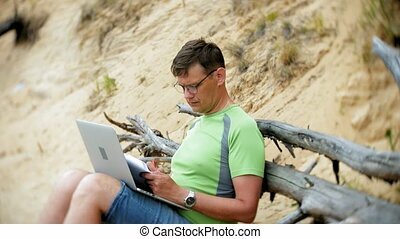 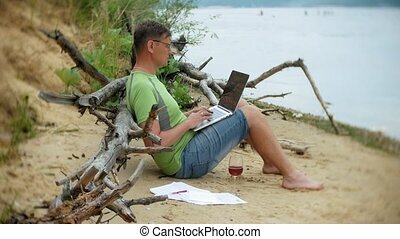 busy mature man working on a laptop computer with business papers picking up a phone to work a call sitting on the beach by the sea on a sunny day and drinking wine from a glass 4k. 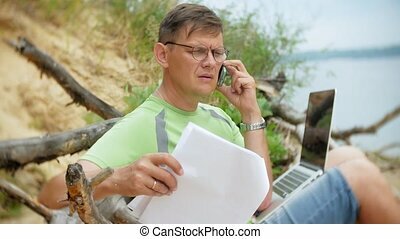 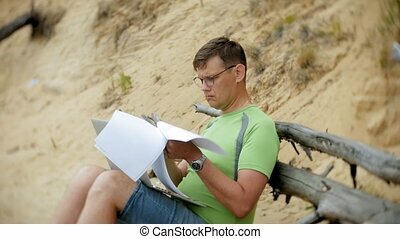 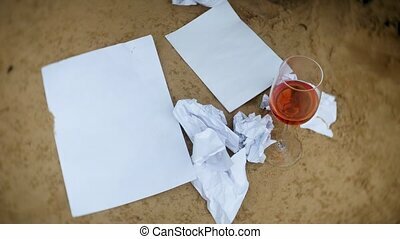 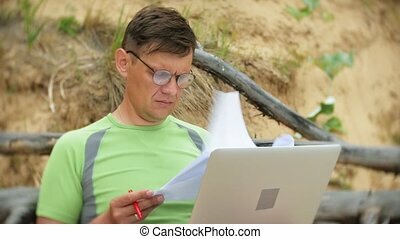 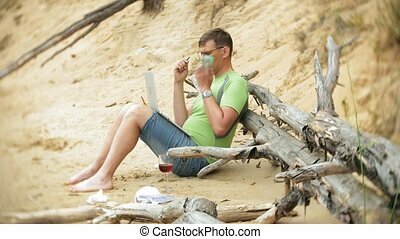 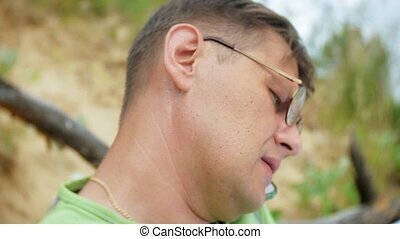 busy mature man working with business papers picking up a phone to work a call sitting on the beach by the sea on a sunny day and drinking wine from a glass 4k. 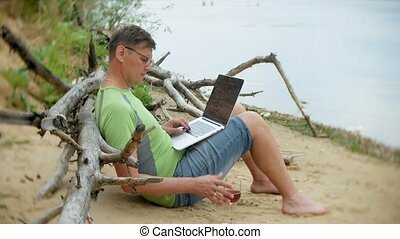 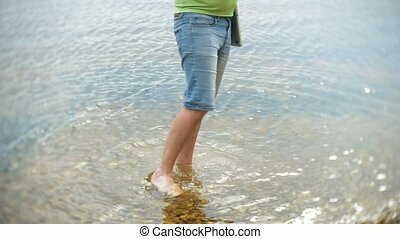 A man is standing in the water with a laptop on the beach in summer 4k. 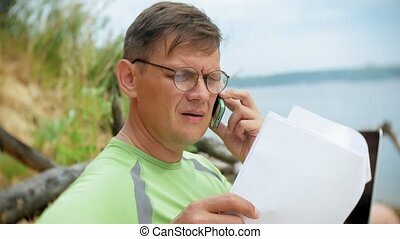 Mature business man talking on the phone at the beach near the sea 4k.